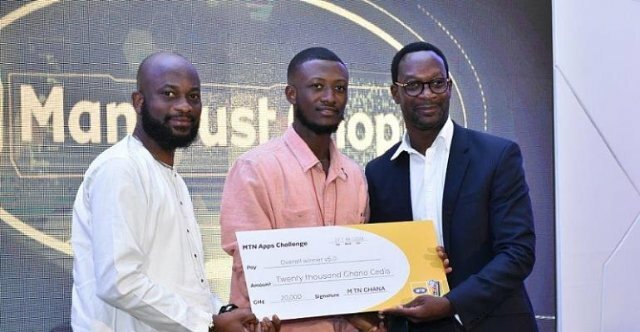 A 25-year-old graduate of the University of Ghana, Razak Issaka has been adjudged the overall winner of the MTN Apps Challenge season V.
His App “Aluta-Man Must Chop” is an animated video which tells an exciting story of an ambitious and energetic young man called Aluta who is simply trying to survive as he hustles through the hard streets of Accra. As a man of many talents, Aluta is constantly trying out different jobs all in his endless attempt to discover what he is best at. Razak, a fresh graduate with a degree in Psychology, took home a certificate, Huawei plague and amount of ¢20,000. Aside from being the ultimate winner, he was also awarded the winner of the Animation Video Category with a certificate, Huawei plague and an amount of ¢20,000. Razak Issaka, who walked home with a total of ¢40,000 said it was a life-changing moment for someone like him who has just completed the university jostling for means to survive. According to him, coding and programming will be his full-time profession because of the joy and satisfaction he derives from putting pieces of ideas together into useful mobile Apps enjoyed by many Ghanaians. His next project, Razak indicated, will be an educative video animation that will sensitize the public against the abuse of tramadol. He added that the award will inspire him to do greater works that will solve real societal problems while educating the youth to maintain the standards of being good citizens. Other category winners such as Sario Mobile App (Lifestyle), Transgov Mobile App (Business), Atsu Mobile App (Games & Enterprise), Memoria Mobile App (Education), Smart Traffic Control (Internet of Things), Kaya App (Best Female Project), and SHS Mobile App won by Accra Presbyterian Boys Secondary School. 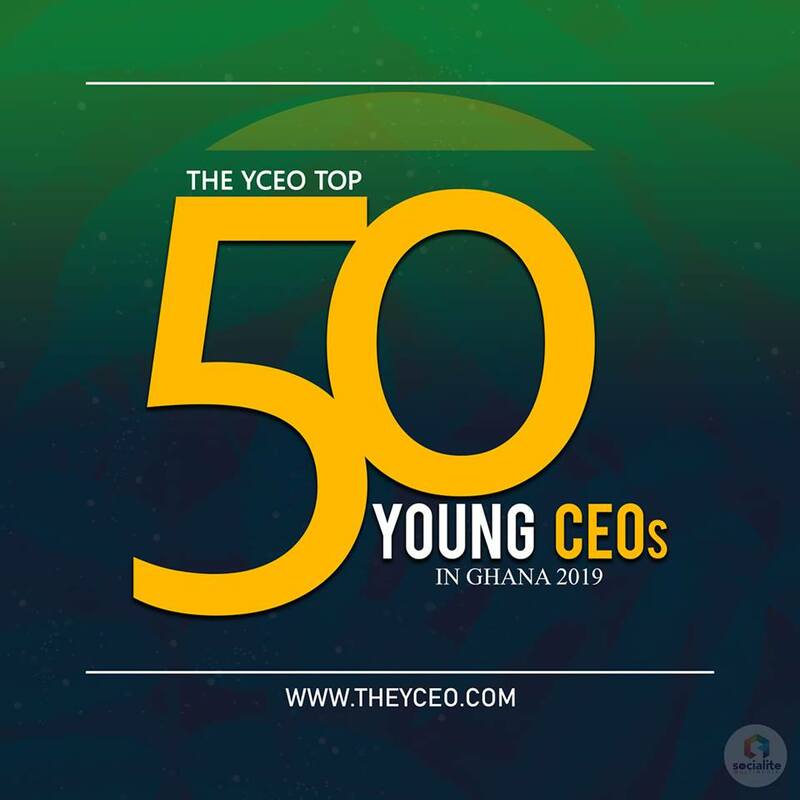 The Acting Chief Marketing Officer of MTN Ghana, Noel Kojo Ganson said the MTN Apps challenge since inception some 5 years ago, has given several Ghanaian youth the opportunity to develop and take up challenges in our economy. He noted that across the country and the continent, apps have been influencing lives and creating economic empowerment. Mr. Ganson indicated that MTN pride itself in giving full and equal access to women in the area of Science, Technology, Engineering and Mathematics (STEM). “Indeed, Technology and Innovation have been recognized as imperatives for achieving gender equality and empowerment for girls. In view of this MTN is championing a project for women in technology, where young girls receive mentorship from women in ICT working in this organization,” he stated. According to him, MTN in line with women in ICT project, have included the Best Female Developer Award Category. “A category that has seen the submission of some intriguing projects. We believe that the sustenance of this category will lead to the contribution of resources to the filling of a wider human resource gap in STEM-a gap that indicates the need for the extensive development of our human resources,” Mr. Ganson intimated. He explained that almost a year ago at the inception of the MTN Apps Challenge v5.0, they anticipated but could not imagine the excitement and participation this version would have generated. Mr. Ganson noted that after a series of roadshows, more than 190 applications were received. In total 56 projects were received for mobile Apps, seven for Internet of Things (IoT), nine for animation videos and seven SHS projects. According to him, 72 from freelance and seven from Senior High Schools (SHS). These apps were put through a rigorous selection process and only 24 projects made it to the final auditions. He emphasized that the judges reviewed all these Apps taking into consideration the commercial viability of the app. “This component of the competition is very important because, as a business, we believe that the App Developer community should be able to generate revenue from their inventions to sustain their businesses. It is a unique form of youth empowerment,” he posited.